Chemical injection systems for topsides and subsea are systems that are used to inject chemicals into area where they are required. The pumps used can be either diaphragm type or plunger type with automatic or manual stroke control. The prime mover can either be electrical or pneumatic. 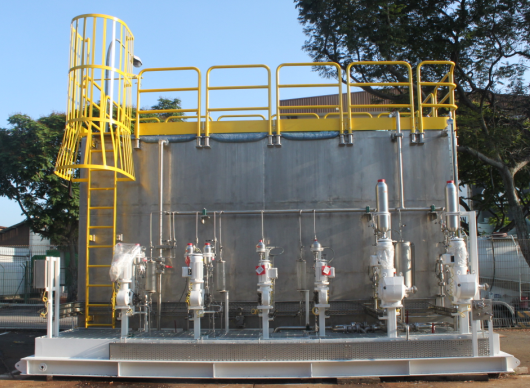 The pressure and flow rates can be customized according to system design requirements. Calibration pots or calibration gauges for accurate setting of pumps are provided and pulsation dampeners can be situated along the suction and/or discharge to remove any pulsation generated by the pumps. 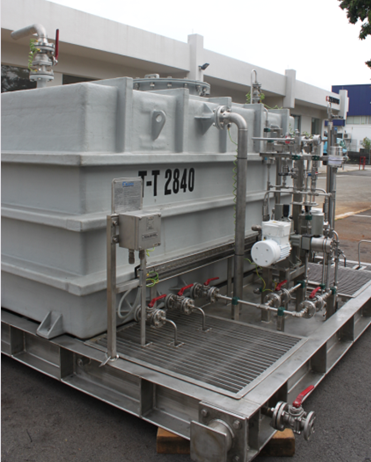 The chemical storage tanks needed to store the chemicals can be made of FRP, GPR or SS 316 and is usually mounted on a common skid with the pumps.